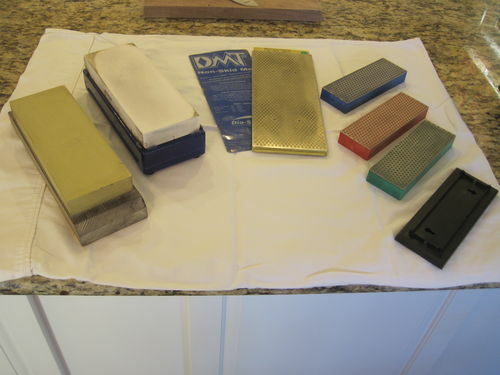 I am looking to sell some of my sharpening stones. 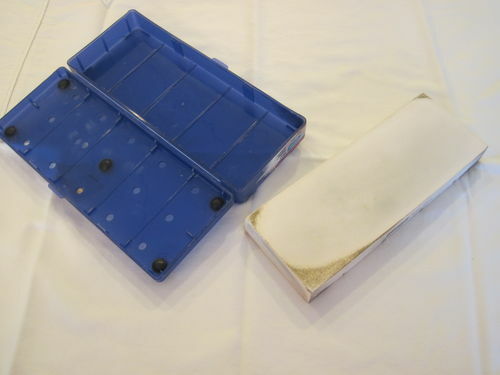 These are all used stones that are in good condition and have been taken care of. I am willing to sell them one by one or package them up together. Shipping to 48 is included in the price. Please post any questions or if you want to see additional photos. Please PM any offers. I’ll put all the descriptions up top so you can read what each is then scroll down. 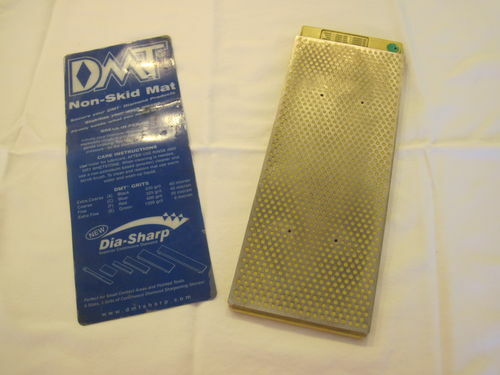 Pictures 3 and 4 – $100 – DMT double-sided 10”x4” DuoSharp. 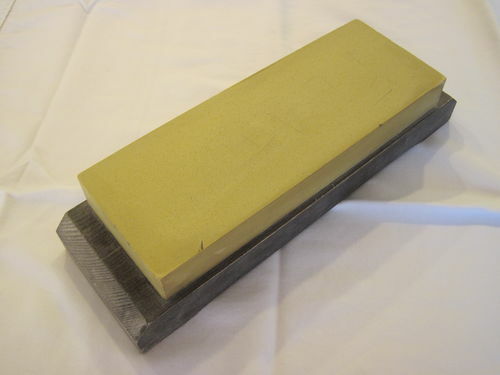 One side is 325 grit, the other is 1200 grit. 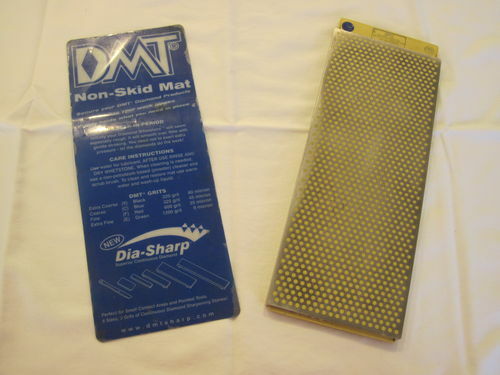 Comes with the tacky mat that will help hold the stone down on smooth surfaces. 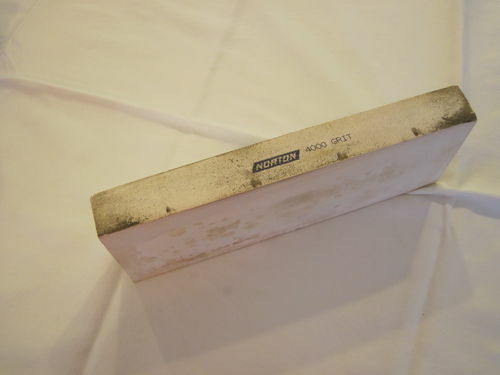 Pictures 5 and 6 – $60 – Norton 4000 grit waterstone. 3”x8”x7/8”. 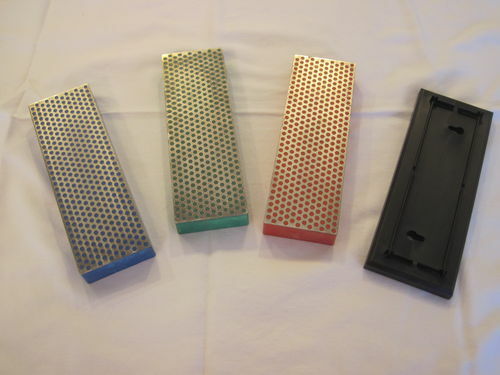 Comes with a blue plastic case that can double as a sharpening stand. Stone does have some small chips and knicks on the corners, but nothing to affect performance. I don’t have a lapping plate, but have kept this pretty flat with other methods. According to my Starrett 12” straightedge, I’d say it is flat to .002 or .003. You can see some wear at the corners. Those portions are not as flat, but make up about 5% of the stone and dont affect performance. 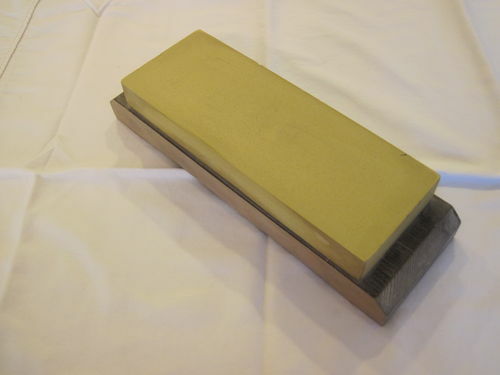 Pictures 7 and 8 – $80 – Naniwa Chosera 8000 grit waterstone. 3”x8”x7/8”. There is a wood base that came glued to the stone that is about 1 1/2” tall. The stone is separating a little bit from the base, but is still firmly on there. Never has caused me any problems and isn’t affecting the stone at all. Stone has some small chips and knicks on the corners and edges. Flatness is same as the 4000 stone – flat within .002 or .003 except for some worn areas at the corners. Update – 6”x2” DMT stones are sold.